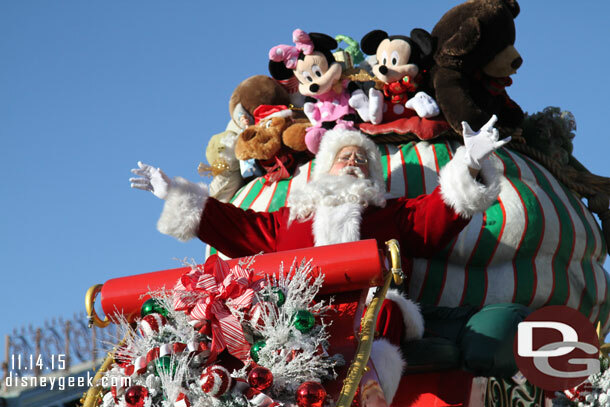 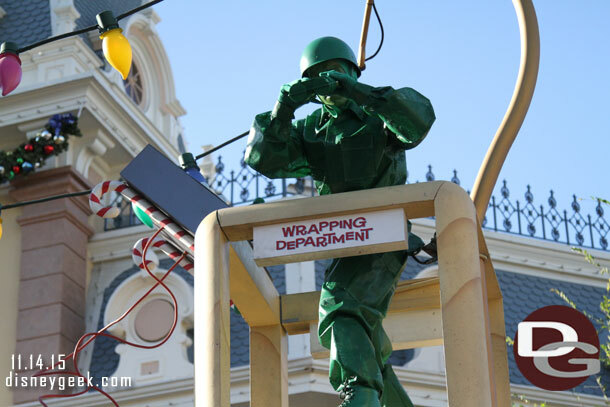 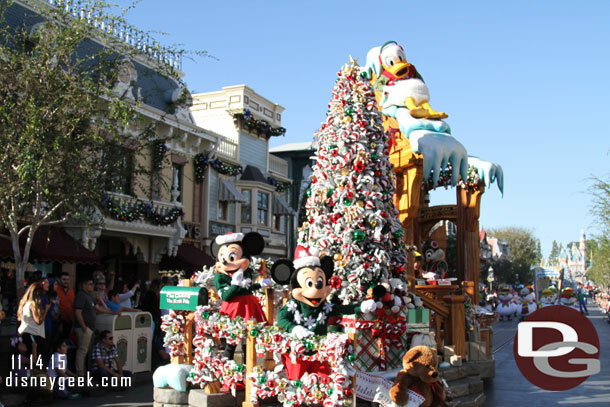 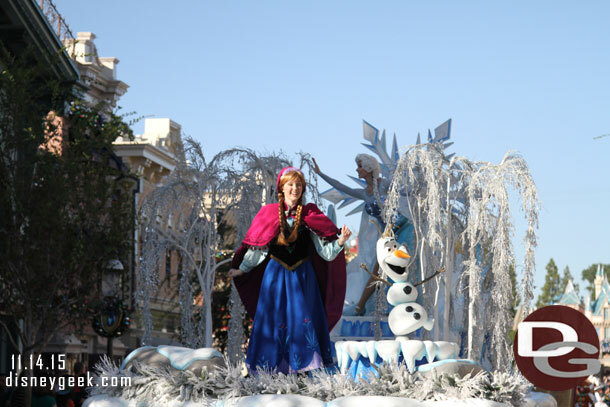 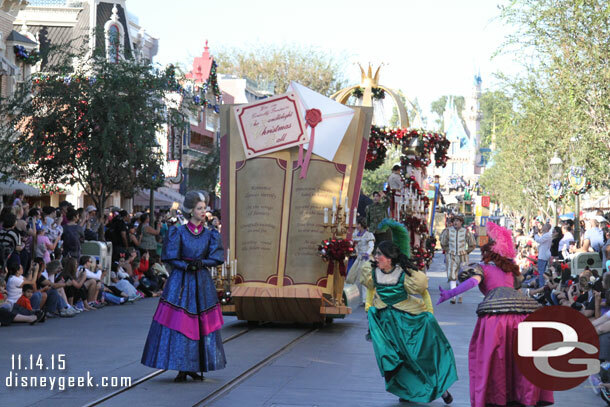 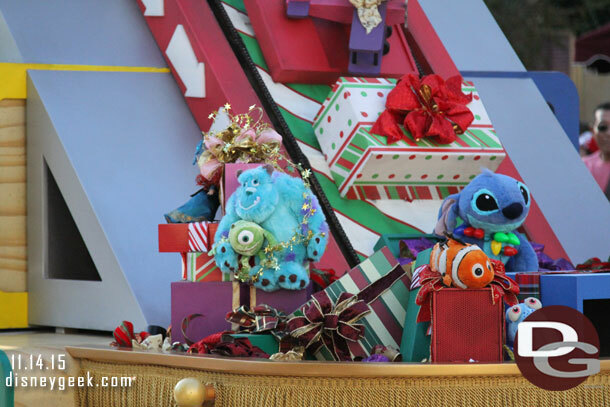 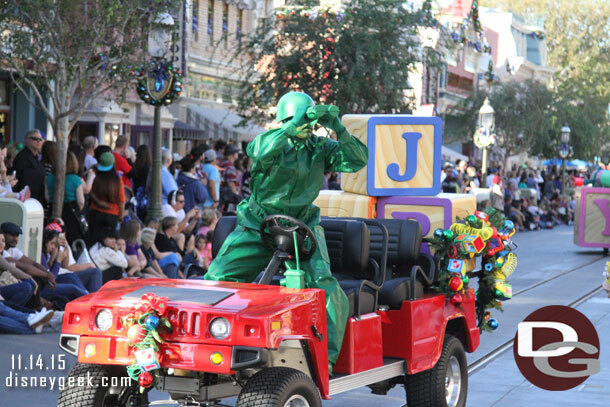 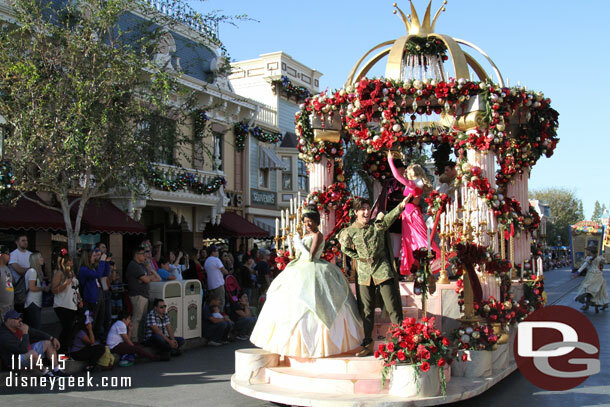 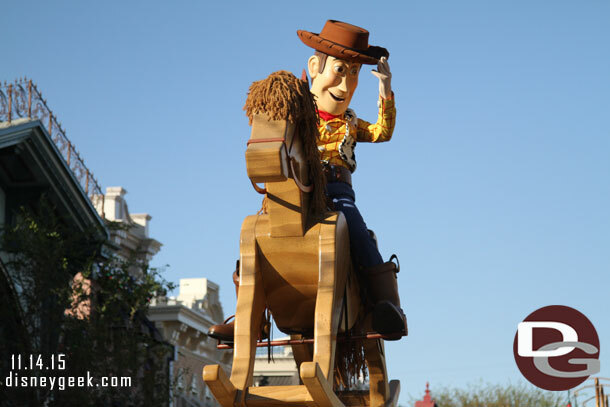 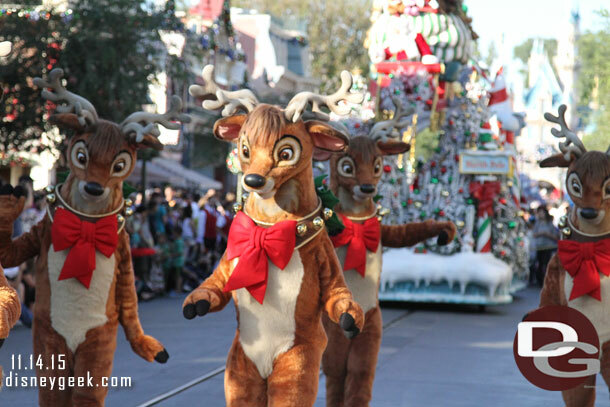 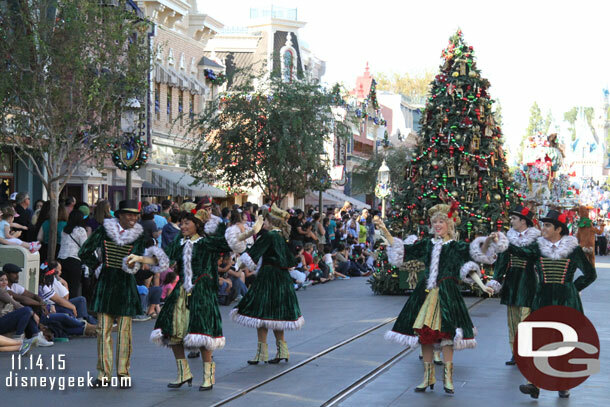 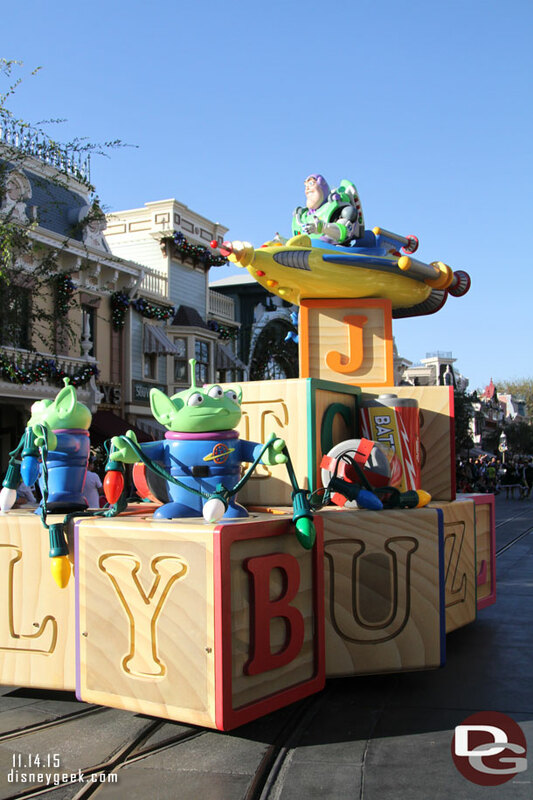 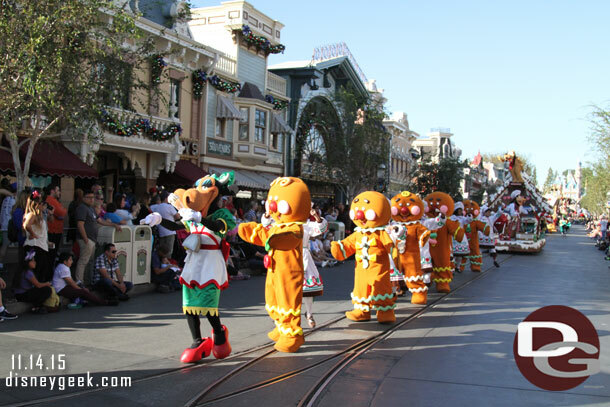 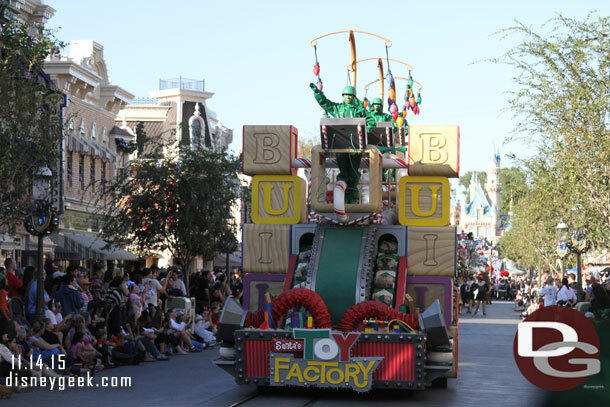 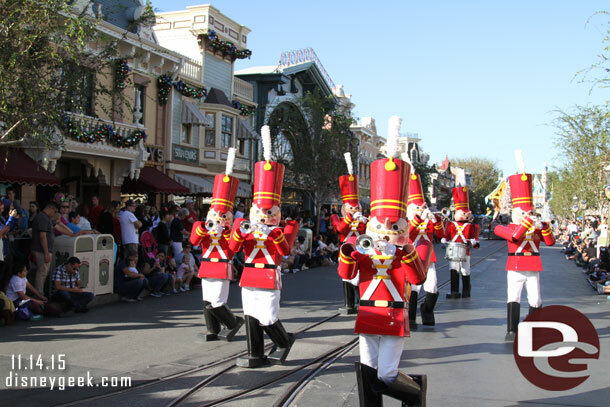 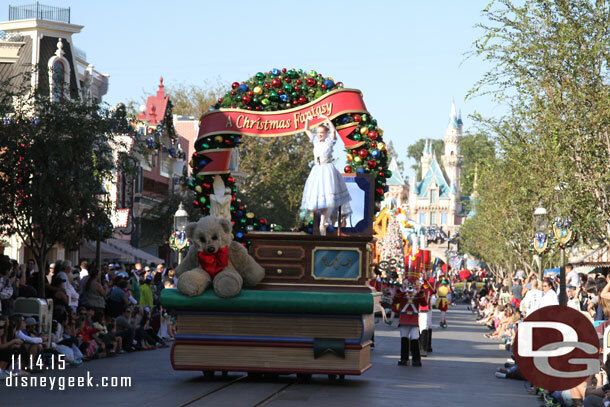 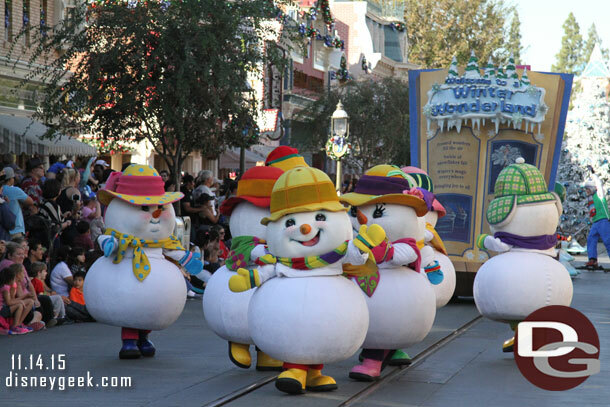 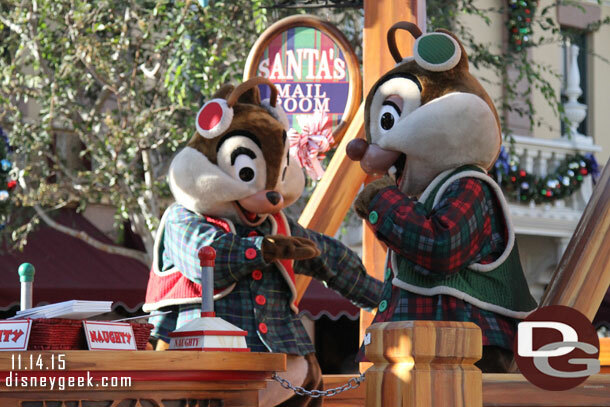 Here are some pictures and video clips from the 2015 A Christmas Fantasy Parade at Disneyland taken on Saturday November 14, 2015. 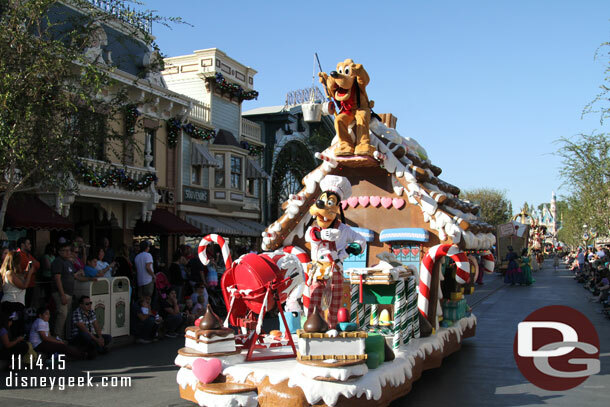 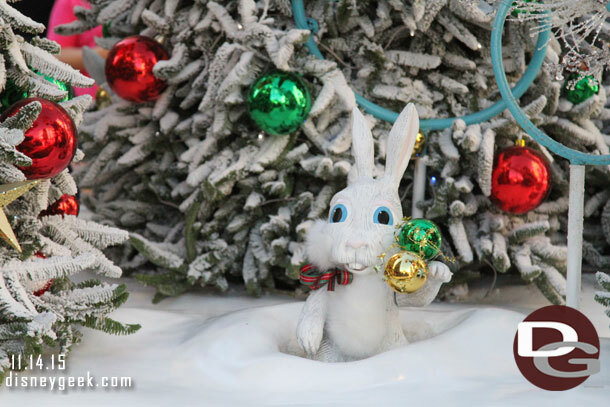 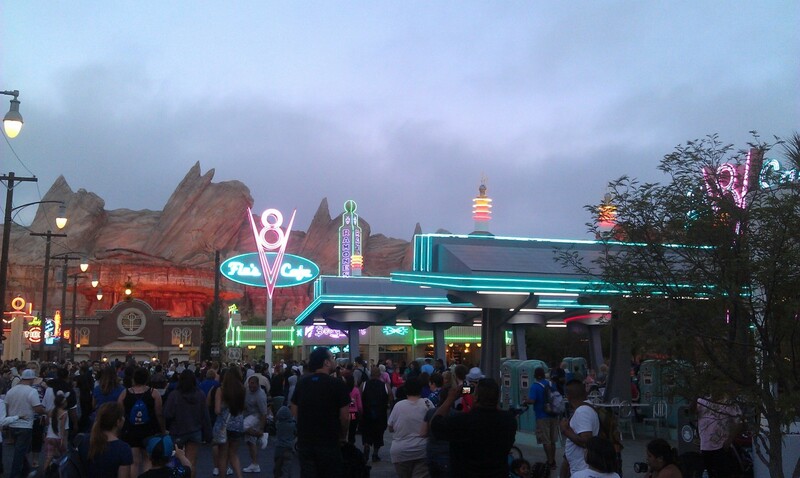 To view more pictures and video from this trip visit our Disneyland Resort Picture section. 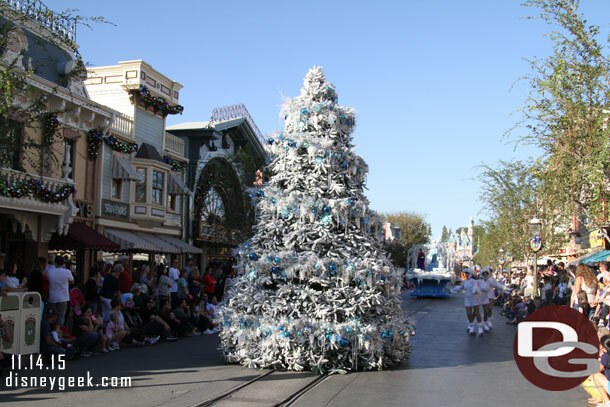 For more Disneyland, Walt Disney World & Disney Dream Cruise Ship Christmas Pictures from years past check out our Holiday section. 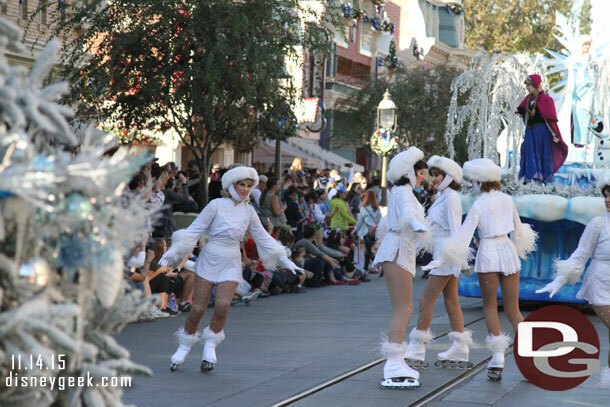 The rollerskating snowflakes of years past did not return again. 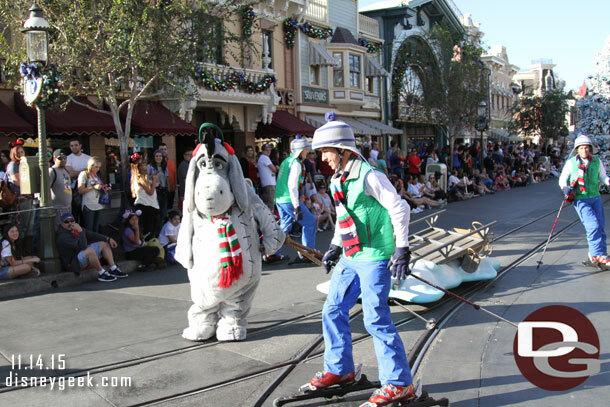 Instead just roller bladers. 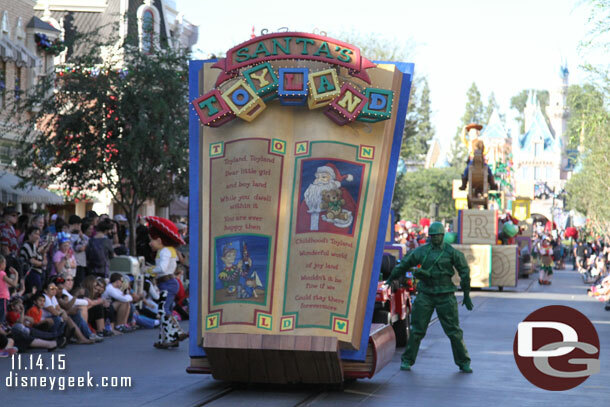 No dwarfs in the Tree Trimming section again.